A modular system, with lots of variable combinations. 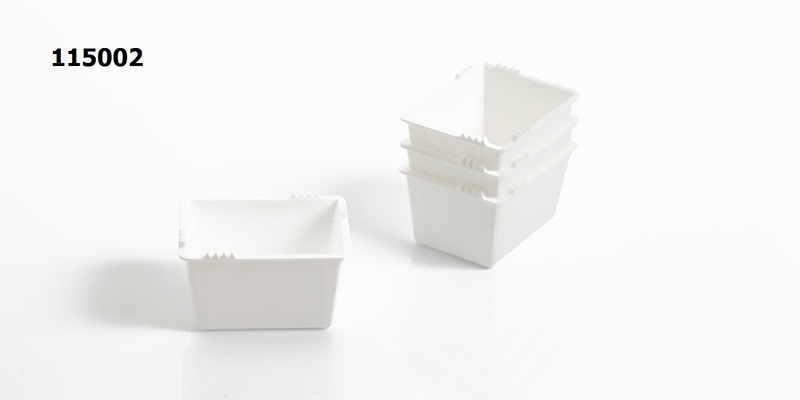 Versatile PractiPal Tray and compnents give you the freedom to adapt them to your specific needs. They easily adapt to a variety of functions and uses. All components are designed to function within the system or as stand alone. PractiPal Tray provides effective, safer infection control, cleaning and sterilization. For effective sterilization it is vital that instruments are thoroughly clean. 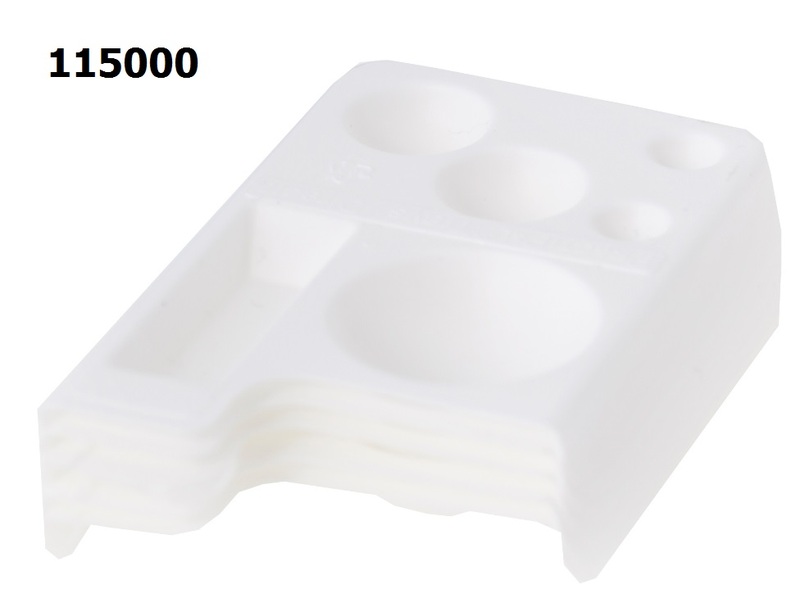 PractiPal Tray provides for optimal cleaning in a disinfectant washer. 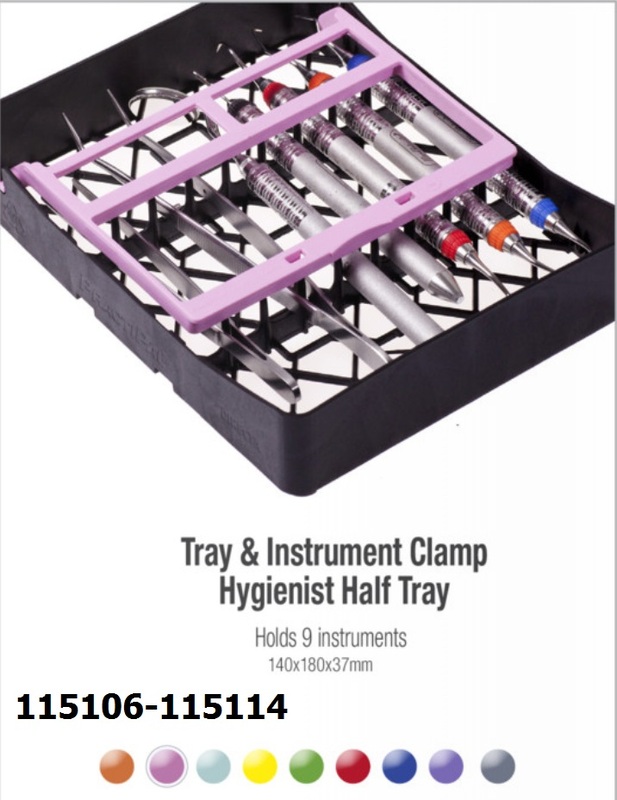 - few objects on the tray - large preforations - loosely but securely helf instruments, files and burs These features allow excellent water and steam penetration. MultiDappen - Equipped with indentations of different volumes of bonding, primers, etc. Placed on the MultiBlock. Can also be used stand-alone. This is a disposable item. MultiPoint - Storage of Paper Points, Guttapercha Points and fluid. Placed in the MultiBlock. Can also be used stand-alone. This is a disposable item. Waste Cup - Practical container for debris. Instruments may be scraped against the special jagged edges to remove debris. Can also be used for liquids. Placed in the MultiBlock. Can also be used stand-alone. This is a disposable item. 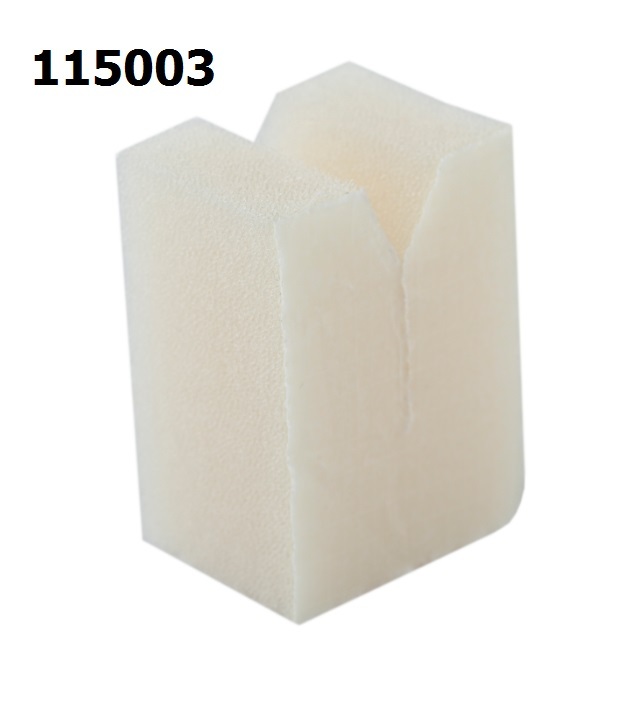 Foam Cushions - Cushions of sponge foam placed in the MultiBlock. Available as large and small. 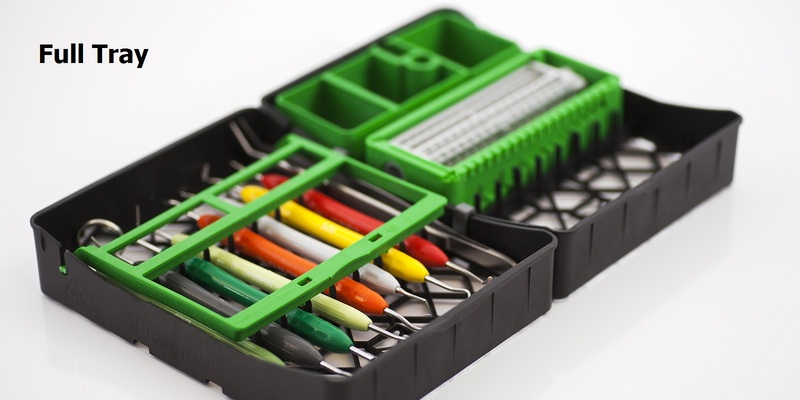 For scraping instruments and practical storage space for files when cleaned of debris. This is a disposable item. Light Shield - Protects light-curing materials. Placed on the Multi Dappen. Large Bur/Endostand. Dual function as a bur stand or a file holder. Easy inspection of files and burs.Minimizes sharps injuries. The same standholds either 28 files or 16 burs. Available in 9 colours. 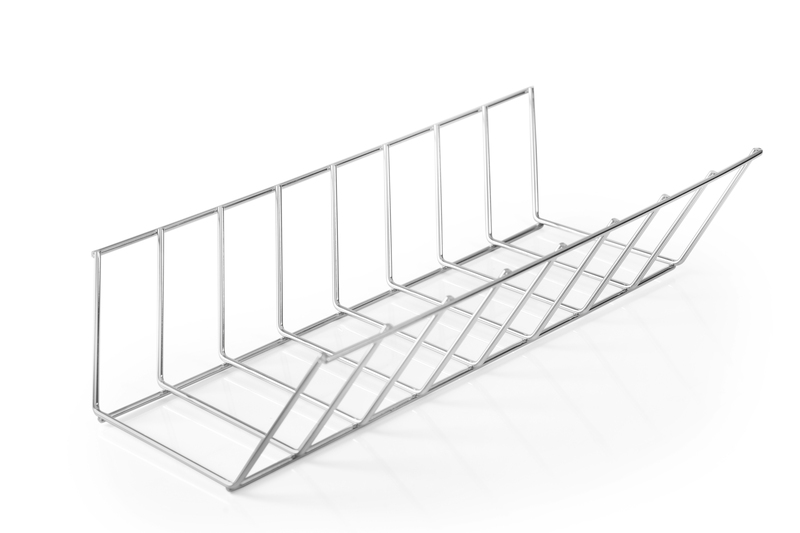 PractiPal Tray Rack - For easy handling of PractiPal trays in washer disinfectors. 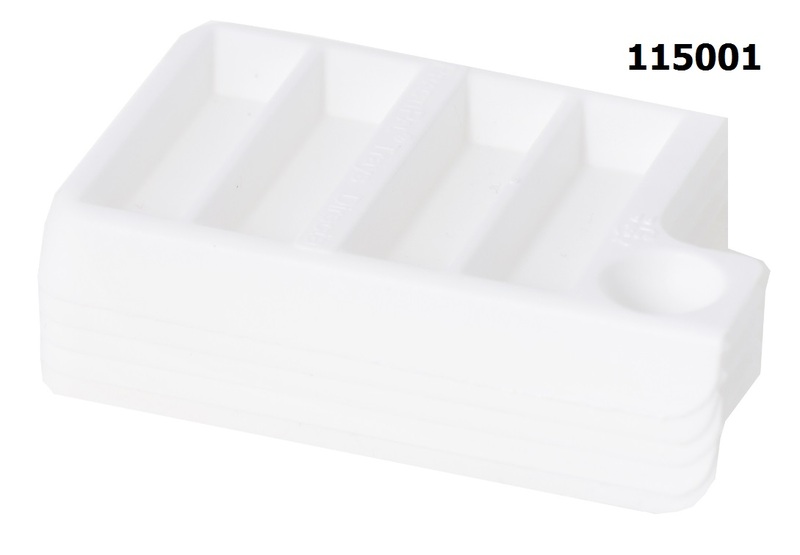 Holds 8 Practipal Full Trays or 8 Practipal Half Trays. Trays kept apart in order to achieve optimum cleansing. Dimensions empty: 198 x 398,5 x 83 mm. 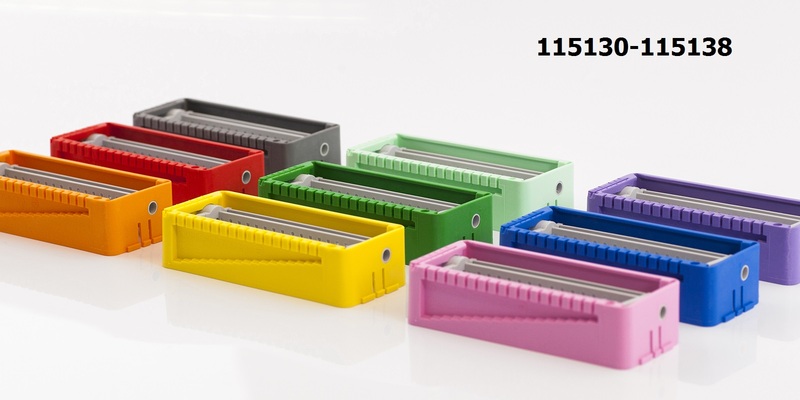 Dimension with Complete Trays: 198x398,5x260 mm.